Growing up near Reading, Pennsylvania, Phillips ‘played piano by ear non-stop as a child’, later studying piano and voice. She attended Oberlin College, singing in her freshman year with the college big band. She had her own radio show, singing and playing on the college station, and sang with a college trio that was the supporting act on the occasion of Dave Brubeck’s famous Brubeck At Oberlin concert. After attending the New England Conservatory of Music, she relocated to New York City. There, she performed on a number of live television shows as a member of two of the best known choirs, the Ray Charles Singers and the Norman Luboff Choir. She also sang demonstrations for songwriters such as Burt Bacharach and Hal David, Carole King, Neil Diamond and Paul Simon. After making her recording debut in 1959 for Roulette Records, with Born To Be Blue, the marked shift in popular music patterns resulted in a highly successful career in the studios. Phillips now became one of the most respected and in-demand studio performers in the music business in New York City. Throughout the 60s, she sang in backing groups on countless recording sessions, wrote, arranged and produced commercials for the American Gas Association, Kent Cigarettes, Campbell’s Soup, Sheraton Hotels and Pepsi Cola. Artists with whom she worked during these years include the Sammy Davis Jnr. , the Four Tops, Leslie Gore, Linda Ronstadt, Mahalia Jackson, Wilson Pickett and Martha And The Vandellas. She formed her own choir for recording and broadcasting, and became music director at St. Bartholomew’s Church on Park Avenue. She wrote book, lyrics and music for The Great Grey Ghost Of Old Spook Lane, a children’s show that has been produced by many theatrical groups and, with her husband, tenor saxophonist, Bob Kindred, created Bending Towards The Light … A Jazz Nativity, the Christmas story told through the medium of jazz. This work is produced annually in New York and elsewhere in America and has featured guests such as Brubeck, Al Grey, Lionel Hampton, Tito Puente and Clark Terry. She and her husband also operate a non-profit organization, the Kindred Spirit Foundation. Additionally, from the early 90s onwards, Phillips has been on the adjunct faculty of the Jazz and Contemporary Music Department at New York University, where she arranges for and directs the NYU Jazz Choir. When she returned to an own-name recording session in 2000, it was her songs that demonstrated vividly how attuned she is to the great qualities of American popular song. All are gems, which deserve a place in the repertoires of all singers who admire music of quality. She has arranged and/or produced recording sessions by Kindred (That Kindred Spirit and Hidden Treasures). A fluid, melodious voice allied to intelligent reading of lyrics makes Phillips one of the outstanding performers of popular song of her day. All About Jazz musician pages are maintained by musicians, publicists and trusted members like you. Interested? 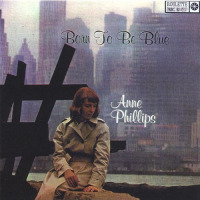 Tell us why you would like to improve the Anne Phillips musician page.